Section III has been the leading voice in women and gender in psychoanalysis for over 30 years! Welcome to our website! Section III strives to support professional and leadership development and networking opportunities as well as deepening understanding of contemporary gender-related concerns involving work, play, family, and social justice. Section III applies psychoanalytic theory, research, clinical experience, and mentoring to these issues and others in which gender is a significant factor. The Section offers both scholarly and clinically oriented programs at the Division’s meetings, actively encourages its members in their political ambitions, and maintains liaisons with other groups that share its concerns. Our mission is to become as informed as possible as well as to provide insight about the underlying causes from a unique psychoanalytic perspective. We currently have three Action Committees: Mentorship, Women of Color and Queer/Non-Binary. In addition to Section III’s strong history in women’s rights, we are embracing other facets of gender including gender diversity and nonbinary identities, issues for women of color, queer women’s issues, sexual trafficking, and sexual and reproductive autonomy. We have welcomed new members and are particularly excited about the increase in early career membership and diversity of voices in our section as well as collaboration with MCC, SGI and Section IX on overlapping passions and goals. We continue to want to engage the division to join and support our section. 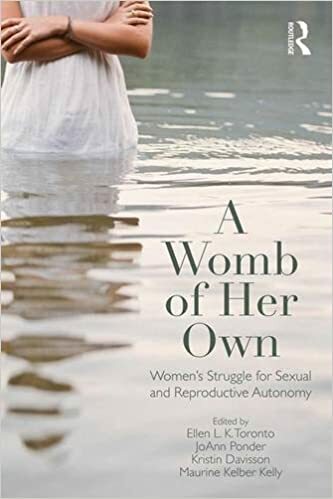 Our new book, “A womb of her own: Women’s Struggle for Sexual and Reproductive Autonomy” published by Routledge available now!! Follow us on Facebook at Section III, Women and Gender – of Division 39 of APA!